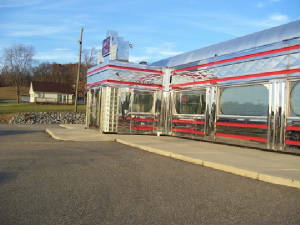 --- A diner that has been built and certified for another State may need upgrades required by your State laws that could be involve additional costs. Our new diners are manufactured specifically for your State. --- A typical diner move costs about $150,000, not including any foundation or site work you have to supply for installing your diner. 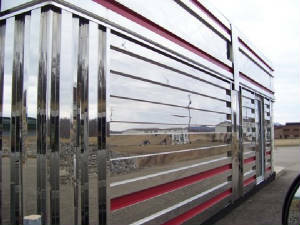 Our new diner pricing INCLUDES shipping cost and installation onto your foundation. 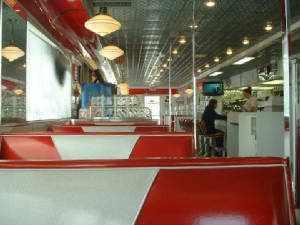 --- Depending on how the used diner was maintained, the equipment many have to be replaced or repaired. Our new diners have brand new cooking equipment, hoods, seating, floors, exterior and more. --- Used diners always have other challenges that seem to pop-up after delivery and installation, which is done by other companies. Our new diners are eliminate that and we take care of it. --- Used diners after delivery and installation can take longer to open because of the extra work that may need to be done. Our new diners can be built and delivered in about 90 days from signing a contract. --- People selling used diners want to get rid of them and are not interested what happens after you buy it. Our new diners comes with our pledge to make sure you are happy with your diner.